Everybody loves a good wedding: the dress, the cake and even the dad dancing! However, no one quite does a wedding like the royals. When the wedding budget isn’t a problem, the possibilities are endless, and you can have that dress you’ve always dreamed of! 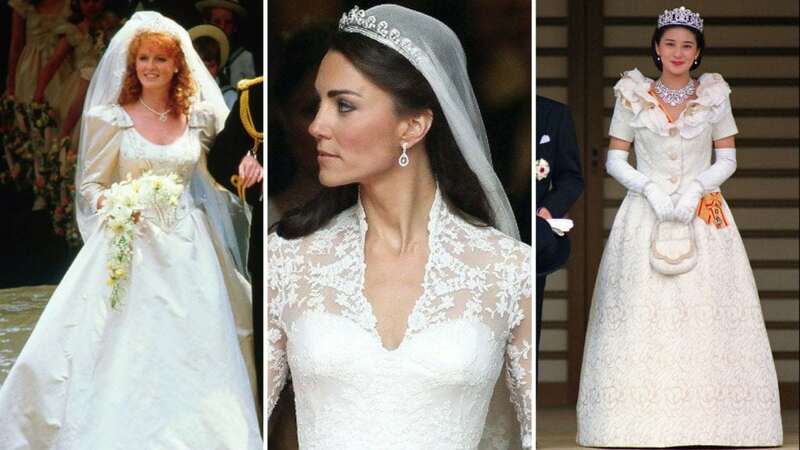 Royal wedding dresses may be some of the best wedding dresses out there. 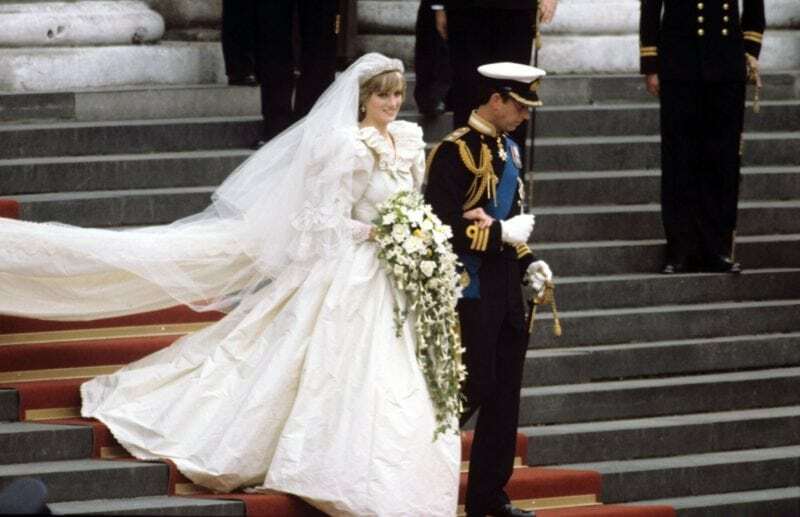 Lady Diana Spencer married the heir to the British throne, Prince Charles, at St. Paul’s Cathedral in London. The “people’s princess,” as she was referred to, wore a one-of-a-kind dress designed by David Emanuel. The dress featured a record-breaking 25-foot train with hand-embroidered pearls and sequins. 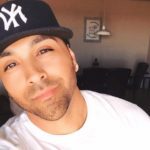 Some loved it, some hated it – which one are you? In the most recent and famous royal wedding, Meghan Markle and Prince Harry’s wedding took place at St. George’s Chapel at Windsor Castle. The Kensington Palace revealed that British designer Clare Waight Keller designed the dress. Princess Eugenie of York married her longtime commoner boyfriend, Jack Brooksbank. 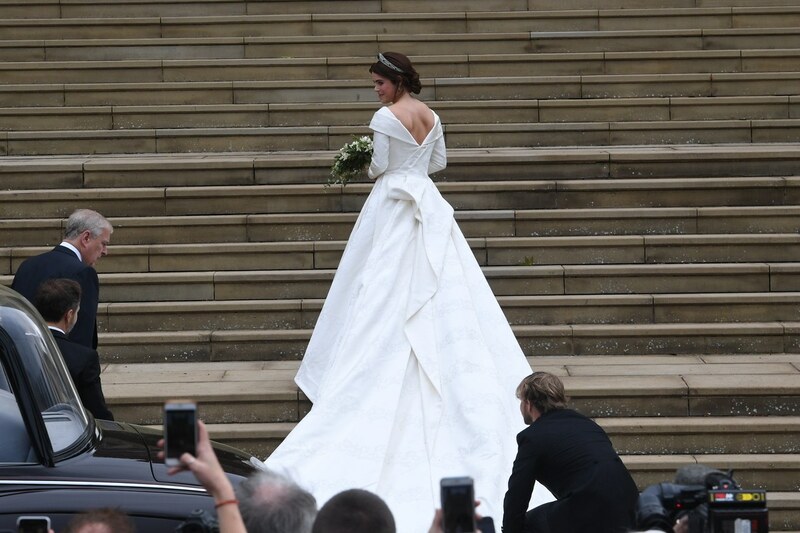 It was a lower-key repeat of the nuptials that took the world by storm in May The royal family revealed that the dress was designed by Peter Pilotto and Christopher De Vos. Camilla Parker Bowles married Prince Charles at a civil ceremony at the Windsor Guildhall. Camilla wore a white chiffon gown with a light-blue-and-gold dress coat. The dramatic gold feather headdress did, however, distract from the beautifully embroidered coat designed by Robinson Valentine. 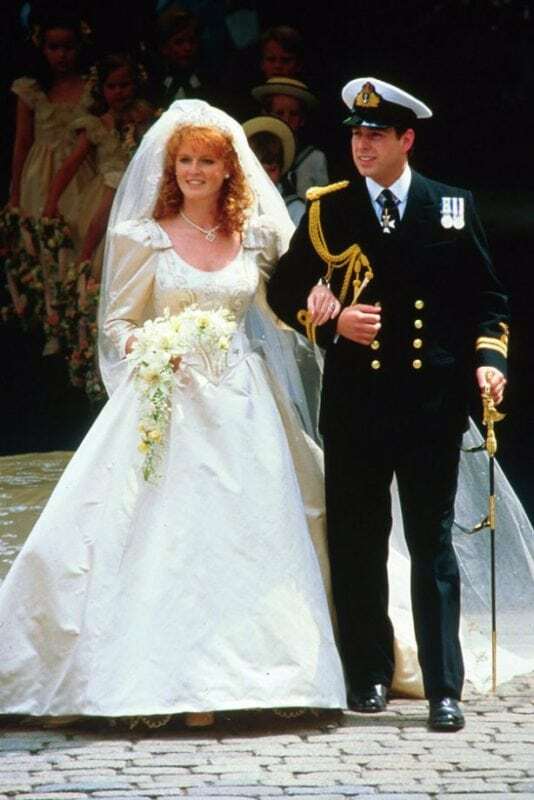 Sarah Ferguson wed PrinceAndrew at Westminster Abby in London. Her very ’80s gown was made of ivory satin with beaded details and a rather large set of shoulder pads. 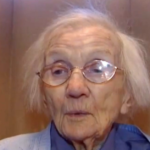 The dress was designed by African-born British designer Lindka Cierach. 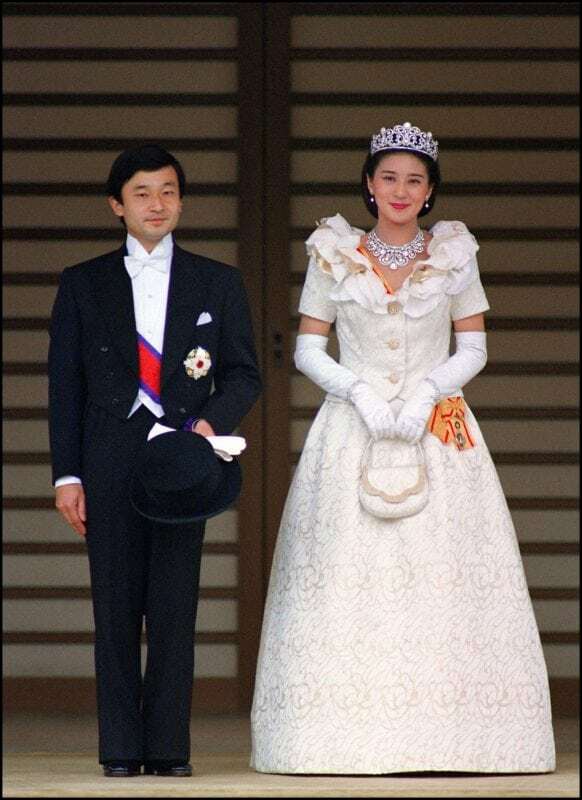 After almost a decade and three proposals, Masako Owada finally married Crown Prince Naruhito of Japan at the Kashiko-dokoro, the Shinto shrine of Amaterasu, the Sun Goddess, on the grounds of the Imperial Palace in Tokyo. 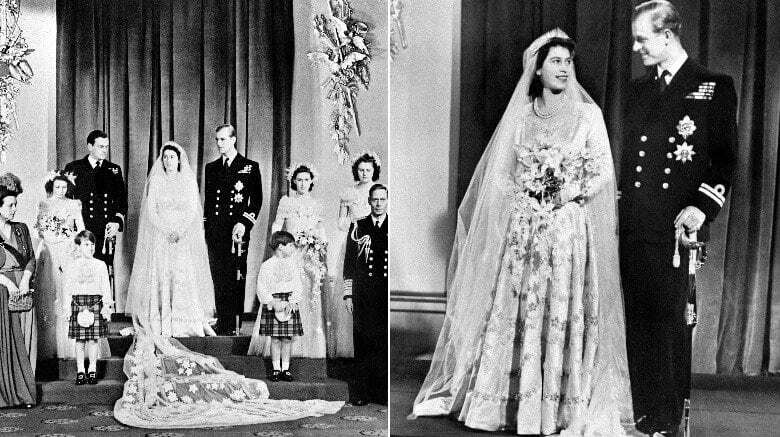 In 1947 Queen Elizabeth married the Duke of Edinburgh in Westminster Abby, London. The dress was designed by Norman Hartnell and was inspired by the famous Primavera painting by Sandro Botticelli. The ivory-colored satin dress was embellished with white seed pearls and an embroidered floral pattern using silver thread. Princess Margaret’s wedding to fashion photographer Antony Armstrong-Jones was the first royal wedding ever broadcast on television, pulling in about 300 million viewers. 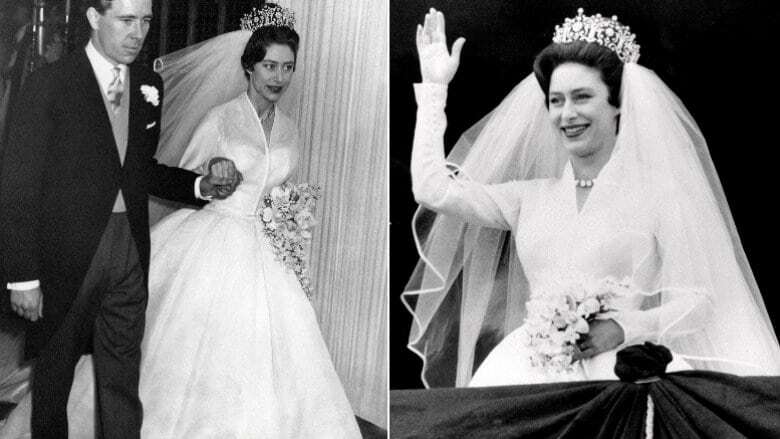 The elegant but simple gown was designed by Norman Hartnell, who also designed Queen Elizabeth’s dress. 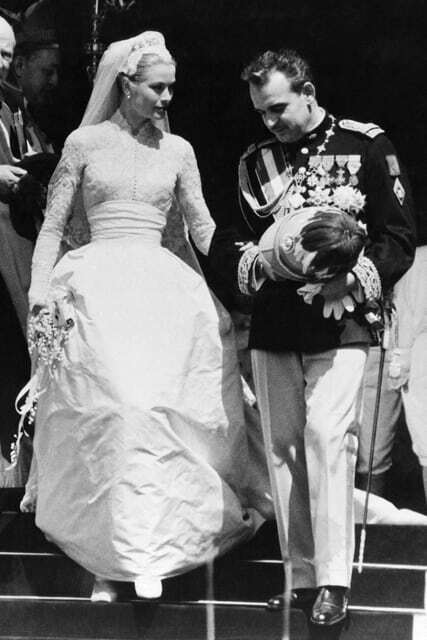 Oscar-winning actress Grace Kelly married Prince Rainier III of Monaco wearing a gown designed by an MGM costumer, Helen Rose, maybe one of the only royal wedding dresses to be created by a Hollywood costumer. The dress featured 125-year-old lace and beautifully hand-sewn pearls. 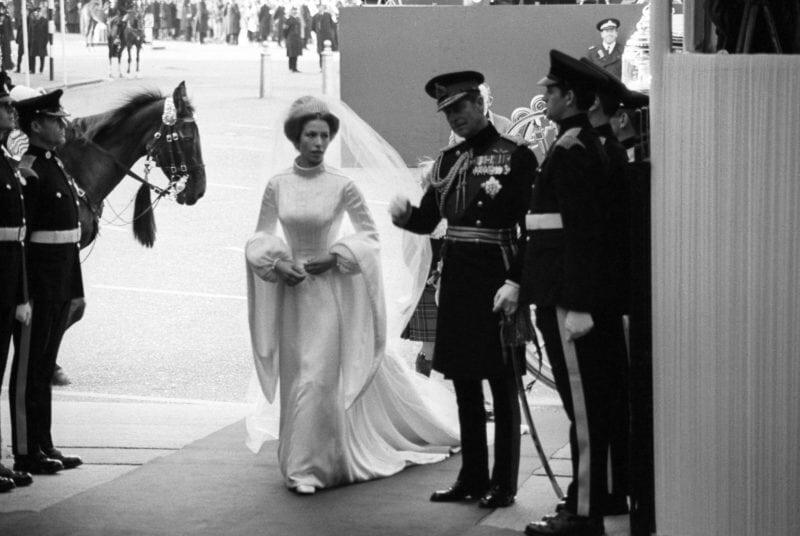 Princess Anne, daughter of Queen Elizabeth, married Lieutenant Mark Philips in a high-necked, Tudor-style wedding dress with striking past-the-knee sleeves. The dress, designed by Maureen Baker, almost resembles a dress worn by Princess Lea from Star Wars. 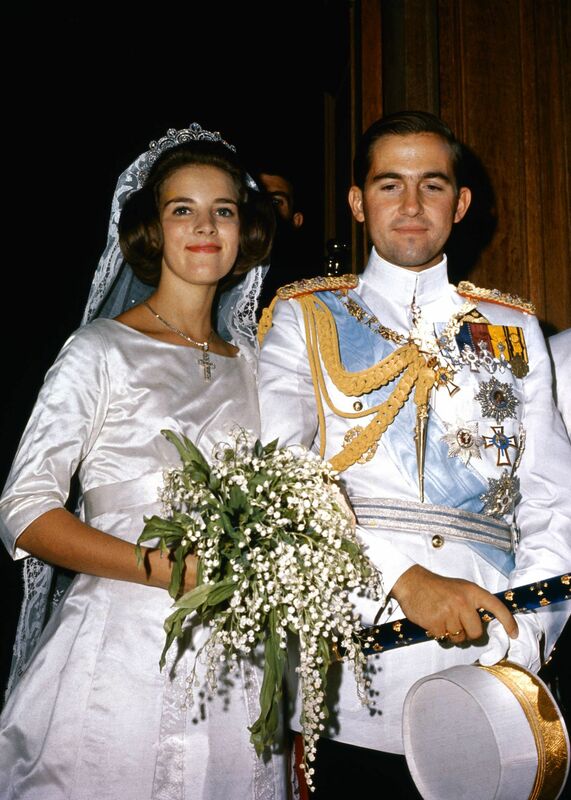 German-born Baroness Marie Christine von Reibnitz married Prince Michael of Kent in Vienna, Austria. The ’70s classic-style silk crepe royal wedding dress was designed by Belville Sassoon. 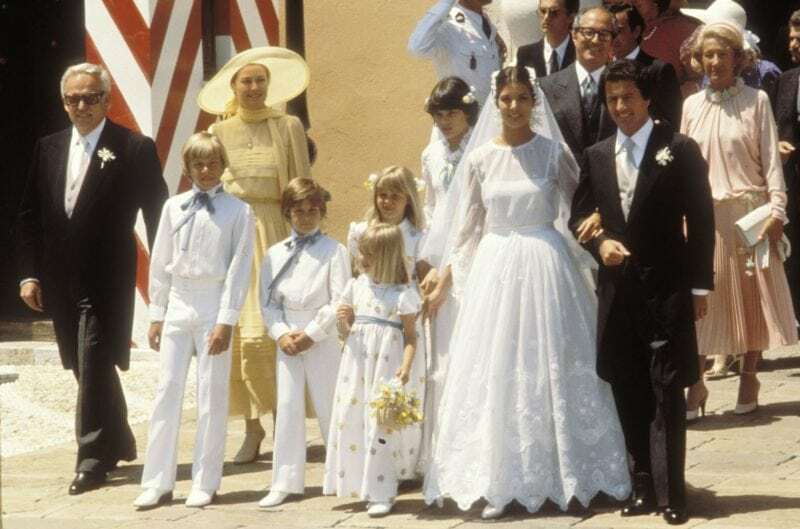 In the summer of 1978, Princess Caroline of Monaco wed Persian banker Philippe Junot. 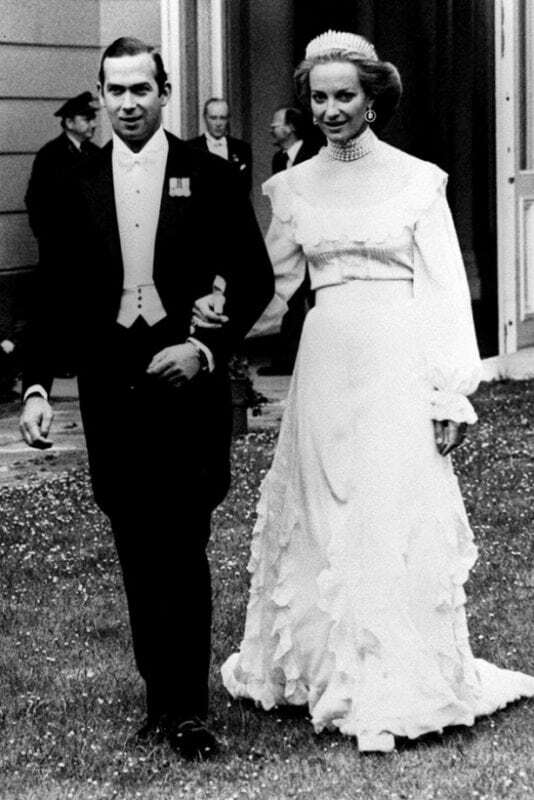 The elegant ’70s wedding dress was designed by Marc Bohan at Christian Dior. Sophie Rhys-Jones married Prince Edward, the youngest son of Queen Elizabeth and Prince Phillip, at St. George’s Chapel atWindsor Castle. 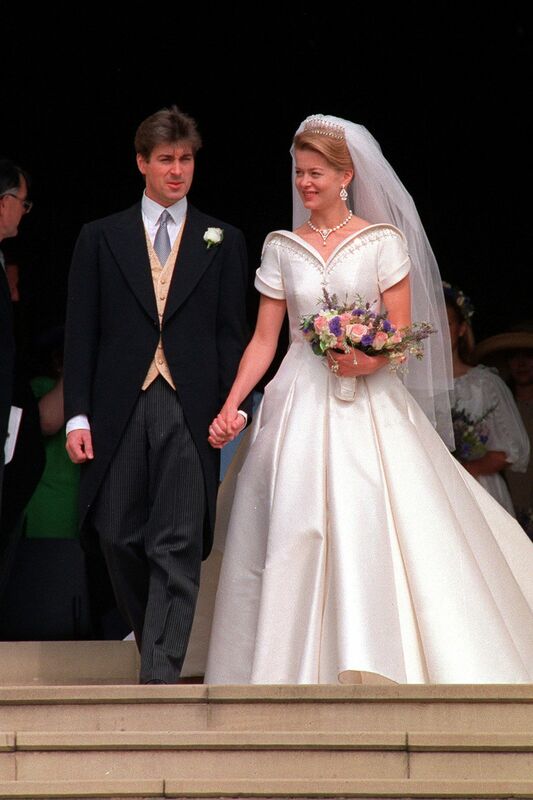 The stylish royal wedding dress was designed by Samantha Shaw. The ceremony between Prince Christian of Hanover and Alessandra de Osma ceremony took place at San Pedro church, a 17th century structure in Lima, Peru. She wore a long-sleeved lace gown by Spanish fashion designer Jorge Vazquéz. The look was inspired by Princess Kate Middleton’s dress. 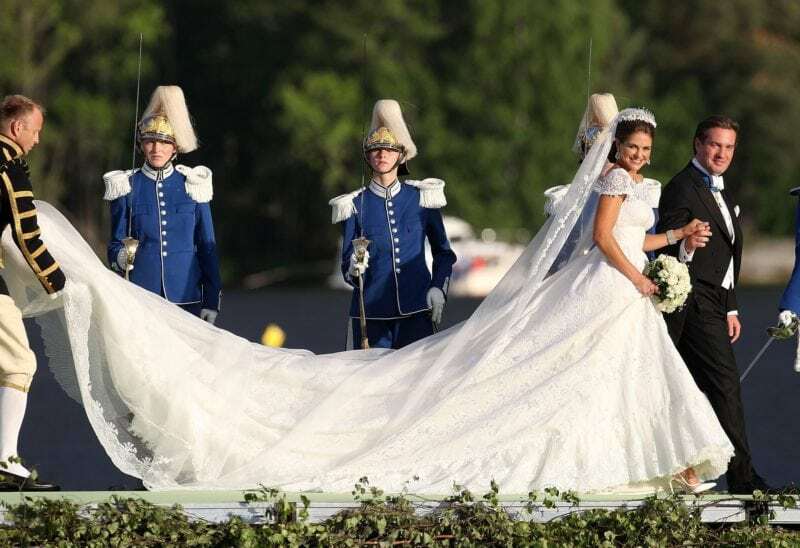 Crown Princess Victoria of Sweden wed her former fitness instructor, Daniel Westling, wearing a dress by Par Engsheden. Their relationship may have raised a few eyebrows; however, the televised ceremony clocked 500 million viewers worldwide. Wearing an off-the-shoulder gown, Charlene Wittstock married Prince Albert of Monaco at the Prince’s Palace of Monaco. The South African swimmer looked sensational, glittering in the $65-million Armani Privé dress. 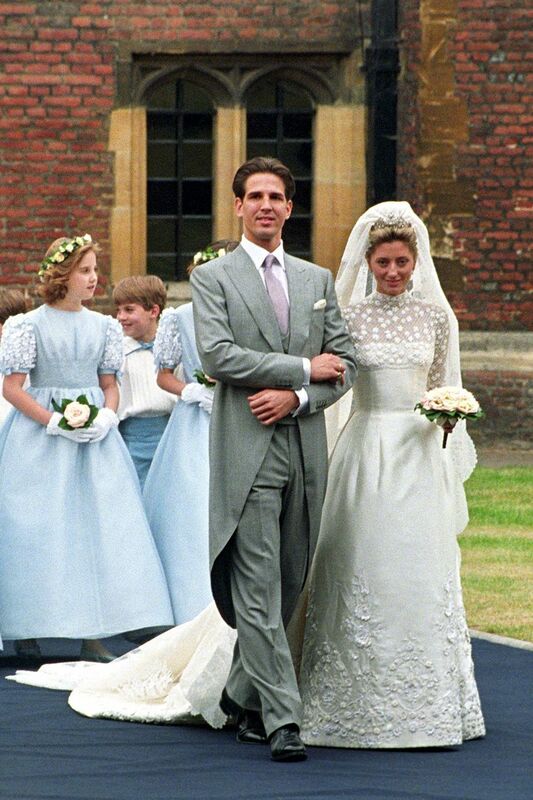 The granddaughter of Queen Elizabeth, Zara Phillips looked graceful in an A-line wedding gown designed by the Queen’s courtier Stewart Parvin. Hundreds of well-wishers lined the street for Scotland’s first royal wedding in almost 20 years. The ceremony was held in Mogeltonder Church and the wedding banquet in Schackenborg Castle. 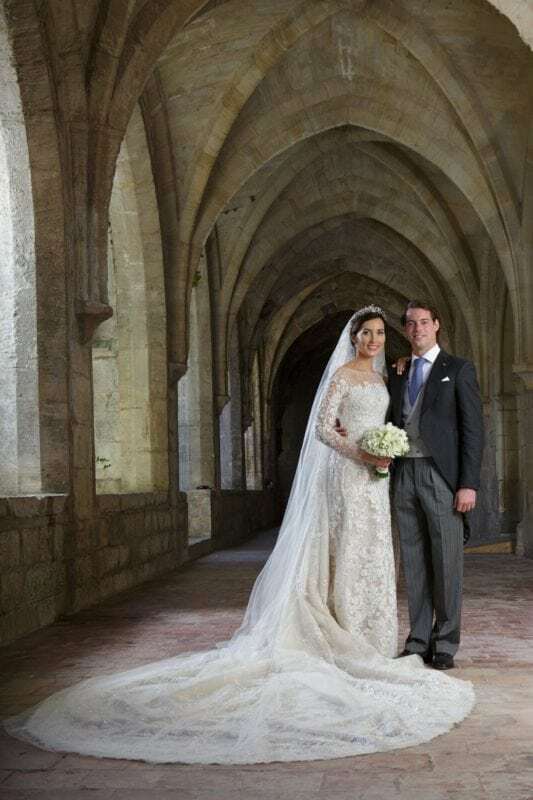 Marie’s wedding dress was designed by Spanish-Italian fashion house Arasa Morelli. Beatrice Borromeo and Pierre Casiraghi exchanged vows at the Grimaldi Palace in Monte Carlo. Beatrice wore a dress by Giorgio Armani for the lavish second ceremony. Lady Rose Windsor, the daughter of the Queen’s cousin, married Prince Edward, Earl of Wessex, in a white couture gown and glistening tiara once belonging to Queen Mary. Lady Charlotte Wellesley wed billionaire financier Alejandro Santo Domingo in a custom Emilia Wickstead long-sleeved wedding dress. 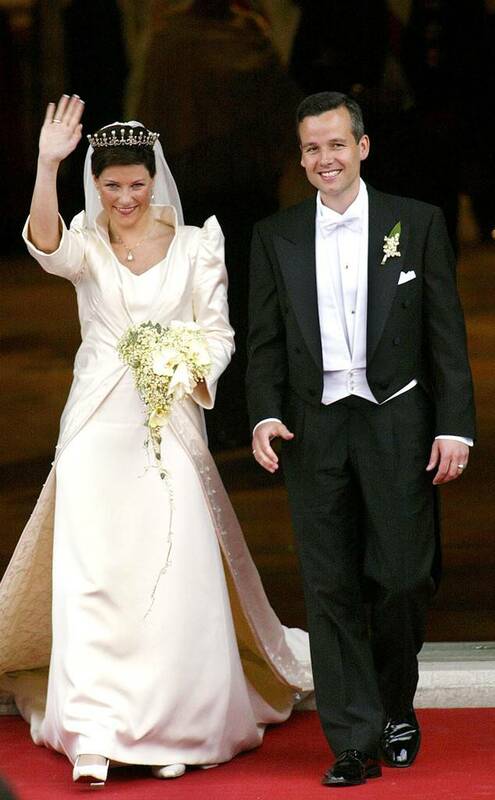 The wedding of Princess Madeleine and Christopher O’Neill took place in Stockholm. 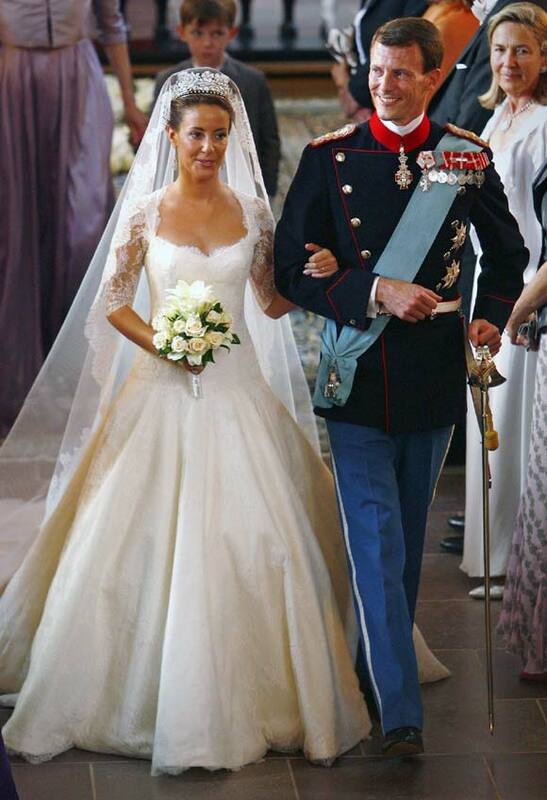 Both the wedding dress and veil were designed by Valentino Garavani. Peter Phillips become the first of Queen Elizabeth’s grandchildren to get married when he wed Canadian management consultant Autumn Kelly. 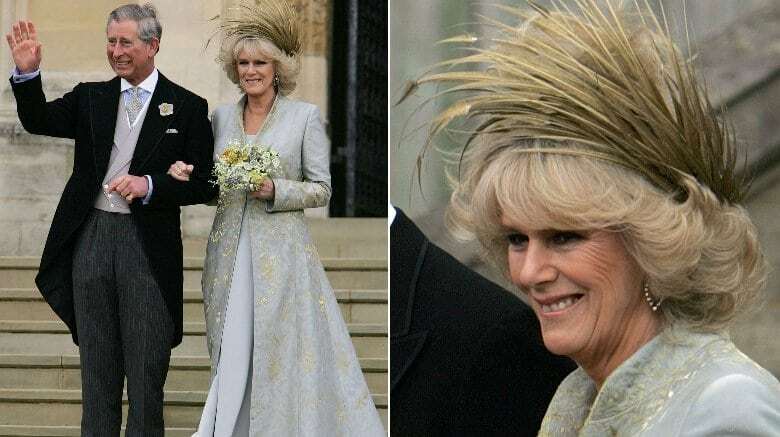 The royal wedding dress was designed by bridal designer Sassi Holford. The religious wedding took place at the Cathedral of Our Lady of Luxembourg. Elie Saab, a Lebanese designer, took a total of 3,900 hours to make this wedding dress. There were 700 with the seamstress and an extraordinary 3,200 for the embroidery. The dress was completed with a 13 foot training and 50,000 pearls. 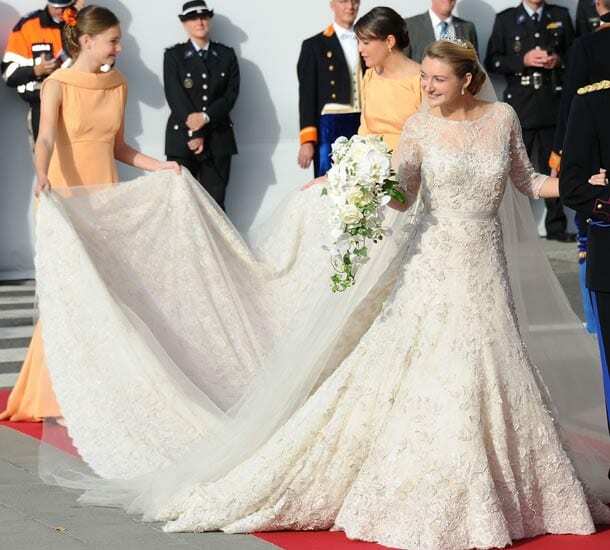 The lace-topped wedding dress worn by Ekaterina Malysheva when she wed Prince Ernst August of Hanover was designed by Sandra Mansour. The wedding gown featured intricate beadwork and beautiful pearls. 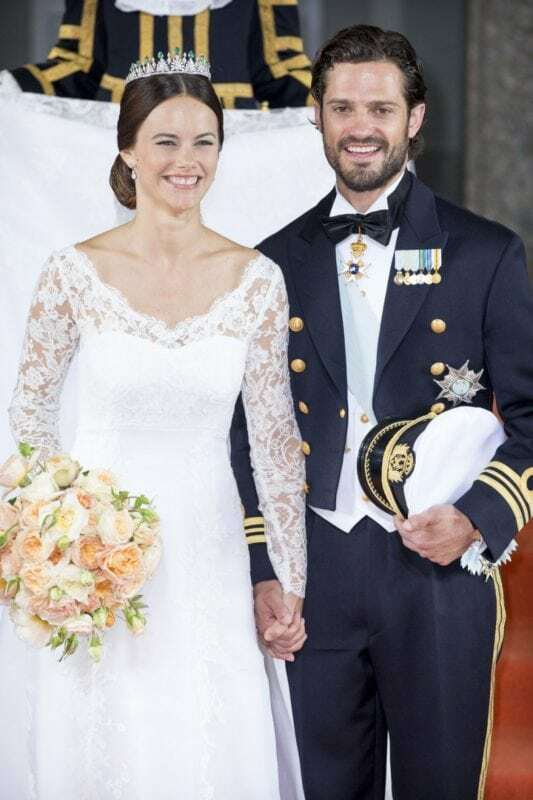 Sofia Hellqvist married Prince Carl Philip, Duke of Varmland, in Slottskyrkan, Stockholm. The Ida Sjostedt dress, made in three shades of white, included lace details and was accompanied by an elegant emerald and diamond crown. Letizia Orti, a former journalist and news anchor, wore a custom dress by Manuel Pertegaz to her royal wedding to Prince Felipe of Spain at the Cathedral Santa Maria la Real de la Almudena in Madrid, Spain. 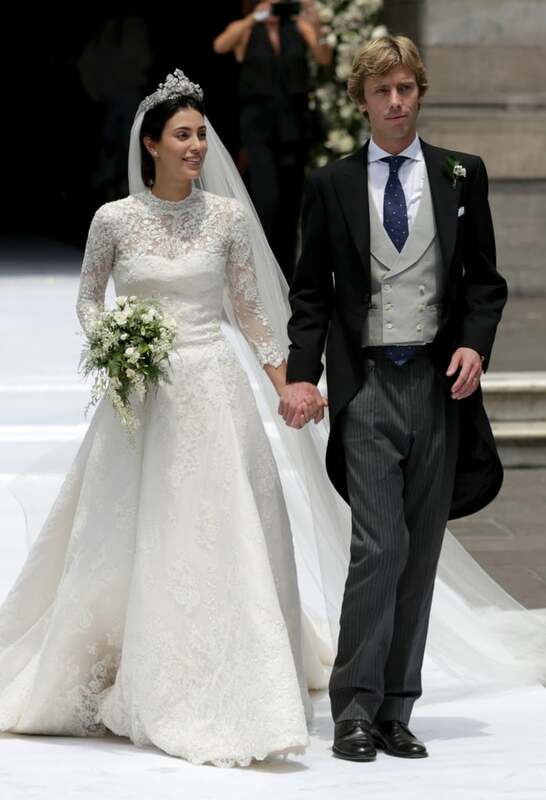 Claire Lademacher looked stunning in a custom Elie Saab royal wedding gown when she wed Prince Felix of Luxembourg in 2013. The lavish wedding of Tatiana Ellinka Blatnik and Prince Nikolaos of Greece took place on the island of Spetses, Greece. Tatiana arrived in a horse-drawn carriage wearing an Angel Sanchez gown. The wedding of Kate Middleton and Prince William took place at Westminster Abby, London. 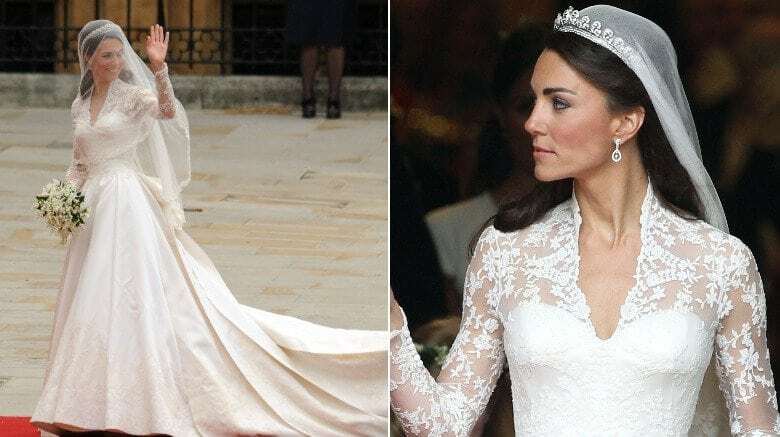 Kate wore an amazing royal wedding dress by Alexander McQueen with a flowing 9-foot-long train. In the early 1990’s, the Lady married an art dealer at Windsor Castle. 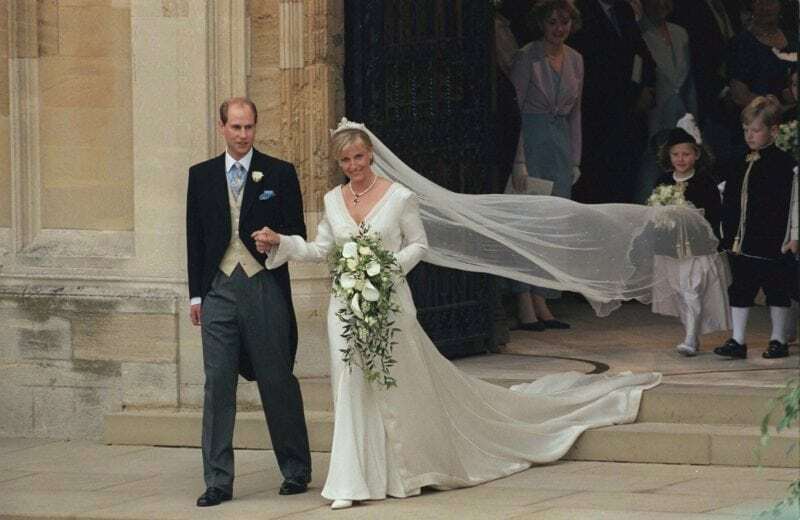 The wedding designer, Catherine Walker, gave Lady Helen’s wedding dress a special wide neckline and interesting short sleeves. 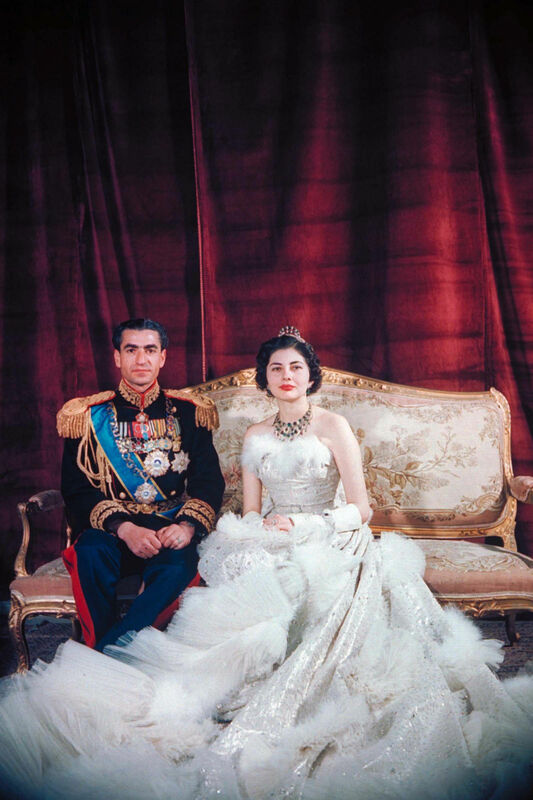 During her wedding, this princess wore a lace ivory wedding dress. It was decorated with roses and it had sleeves that were filled with a floral pattern. 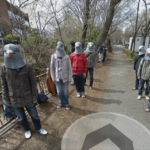 Even though it was a simple, the attention detail is amazing. The dress is high-waisted and is full of lace. 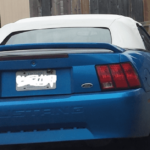 Great choice! This queen wore such a heavy dress because it weight around 44 pounds. It was a strapless dress and had 37 yards of silver fabric! There were 6,000 diamond pieces on the dress, which made it stand out. The dress consisted of a two-piece gown. It was covered in crystals and has long sleeves shaped like trumpets.